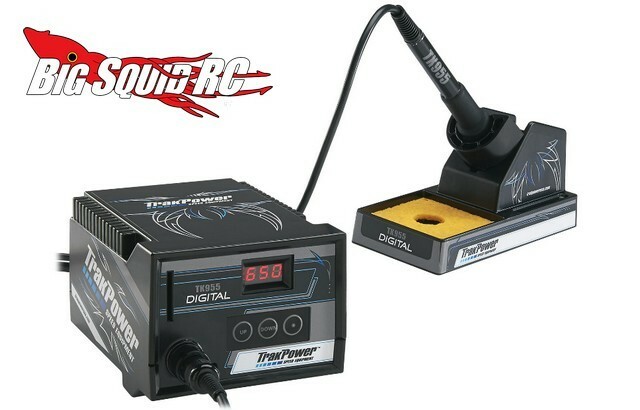 TrakPower TK955 Digital Solder Station « Big Squid RC – RC Car and Truck News, Reviews, Videos, and More! The TrakPower crew has announced a new high-zoot Digital Solder Station. As you can see in the picture, the TK955 comes with an easy to read digital display which shows selected temperature, heating status and alerts. The part number is #TKPR0955, they have a street price of $109, and these are in stock right now. Click Right Here for complete details over on TrakPower’s website. Click Here for more TrakPower news on BigSquidRC.